Thank you for visiting my website. My name is David Moran, and I am a meteorologist who holds degrees in both mathematics and meteorology from the University of Oklahoma, which is recognized internationally as a “top meteorology institution.” I am also an AMS Certified Consulting Meteorologist (CCM). While I am an experienced operational meteorologist, I am also experienced in meteorological data analysis, specifically radar data, and preparing written reports on my analyses. In 2017, I was appointed to a four year term on the American Meteorological Society Board of Certified Consulting Meteorologists. 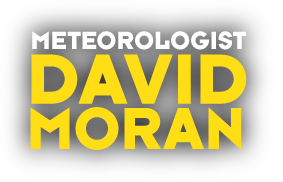 Check out the latest weather blogs from meteorologist David Moran.